Eden Hazard is fed up. He’s been rejecting Real Madrid for the past three years but now, at 28-years-old, The Belgian forward has reportedly had enough. Although he saw out the January transfer window, an £88m summer move to Los Blancos is all but inevitable. 16 goals and 14 assists in 32 Premier League games this season in a struggling Chelsea side are the kind of numbers that put him up there with the best in the game. However, as he reaches his ‘prime’, it will be trophies that he wants; no doubt Real Madrid can offer him that. Sancho’s time in Germany coming to an end? After taking the Bundesliga by storm this season at just 19 years of age, there’s no surprise Jadon Sancho is being linked with a lucrative move to the Premier League. The Englishman has been in sensational form for Borussia Dortmund, with 10 goals and 13 assists in 29 games, receiving boundless praise from the footballing world. His performances have galvinised a Die Borussen side that are once again challenging for the title against the Bayern Munich monopoly. However, the former Manchester City winger has been linked strongly to a transfer the red side of Manchester. Ole Gunnar Solskjær has a mammoth task to strengthen a Red Devils side currently no where near a title challenge and Sancho is a name that is becoming heavily linked by the day. A £100 million fee has been banded about. Granted he is an exciting talent, but is that justified after one season? 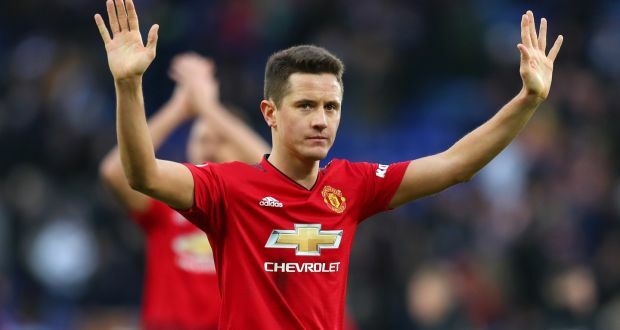 Despite recently becoming a fan favourite at Old Trafford for his passion, desire and consistency, Ander Herrera looks set to leave the Theatre of Dreams. The midfielder’s high energy and knack of turning up in big games has sat well with the Red Devils faithful, making 130 appearances for the side since his €36 million move from Athletic Bilbao in 2014. Yet United’s failure to tie the Spaniard down to a long term contract has left his future in doubt. PSG are close to agreeing a pre-contract agreement with Herrera, meaning he could leave Manchester for free this summer. With Ole Gunnar Solskjær’s task of rebuilding the side already substantial with the need for a central defender, fullback and right winger, the loss of a useful midfielder is the last thing he would. Not to mention Paul Pogba flirting with a move to the Bernabeu isn’t exactly making the job any easier. Should United give Herrera what he wants (over £200,000 per week) or let him go? Follow us on Twitter @TasteofFtbl for more articles about the beautiful game.